Batman is back…in Lego form, anyway. Lego Batman 3 comes out today and, while its unlikely to win any game of the year awards, it does look incredibly fun: not only do you get to explore a blocky Gotham as the Caped Crusader, but you get to play as loads of other DC characters too. The official adaptation of the 1992 Tim Burton movie is a rare example of a decent movie game, a feat it achieved by basically taking Final Fight and chucking Batman in as the main character. There’s not much of the stealth and subtlety Bats is best known for, although there is plenty of fisticuffs and a few sections in the Batmobile too. Lovely. It’s Batman, but not as we know him. The Dark Knight’s enviable chin and fists of steel are replaced by a block head and those rubbish Lego-Man hands that are only useful for holding specific Lego accessories. Fortunately, this doesn’t stop Batman kicking bells out of Lego baddies and building all kinds of awesome Lego bat-gadgets. This was the first Lego game to have an entirely original story too, paving the way for the unique humour in later games. Although it looks like a relic from a long-lost society these days, Batman: The Video Game was relatively ground-breaking for its time. It’s a side-scrolling platformer in the vein of Mario, but with the ability to wall-jump and throw projectiles. The graphics are pretty good too. Officially, the game is based on the seminal Tim Burton film although the similarities aren’t that obvious; you basically spend 5 levels beating up villains from the comics. Not that we’re complaining. The early 2000s were a barren time for the Bat, who was reeling from the terrible one-two punch of Batman Forever and Batman and Robin. There were a fair few terrible videogames too. However, one game from the period stands out: Batman: Vengeance. Based on The New Batman Adventures, Batman Vengeance isn’t the greatest game in the world, with clunky stealth and combat, but it does utilise the voice cast of Batman: The Animated Series (including Mark Hammill). Basically, it was a rare positive Batman experience in a sea of sweeping awfulness. The ultimate Batman game. 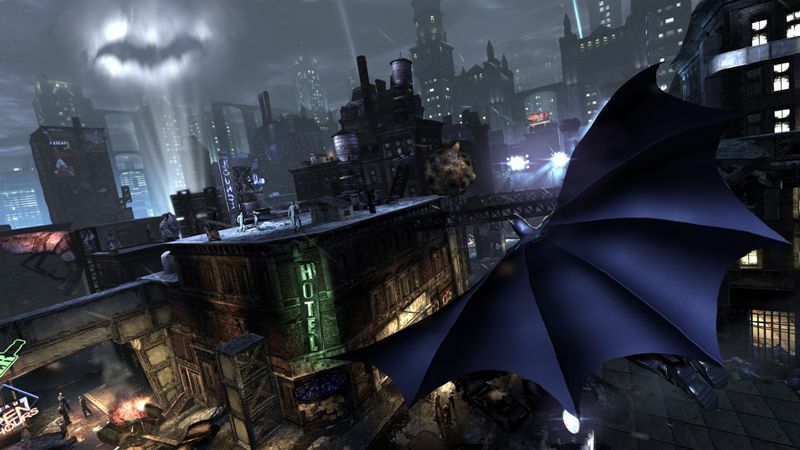 After years of near-misses, Arkham City was the Batman game we all wanted, an awesome combination of gadgets, stealth and the best combat system in any game to date. Plus, its storyline was easily as good as any Batman film (apart from, maybe, The Dark Knight). If you’ve got any games you’d like to sell for cash, get an instant price for them with musicMagpie. ← Assassin’s Creed Unity and Rogue: What’s The Difference?